Joomla is considered to be a very popular content management system, which can resolve the critical vulnerabilities of the websites. 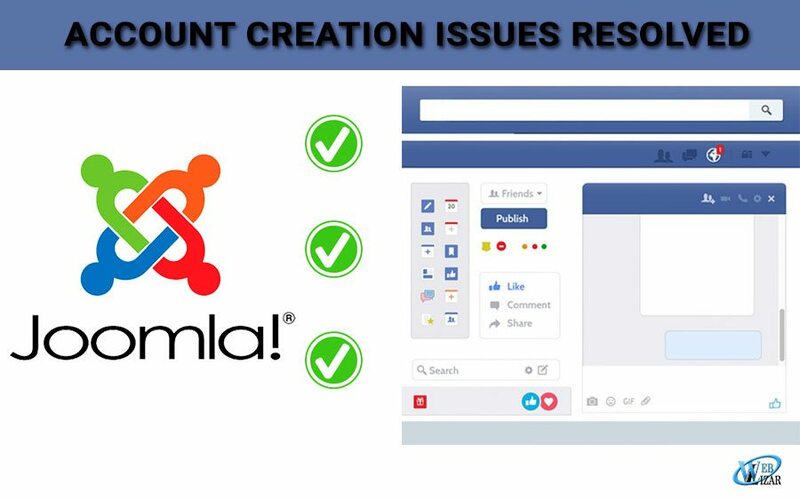 With the Joomla updates, the web developers are expecting that the flaws of the account creation system will be resolved. Let us discuss whether the latest update is capable of resolving the issues or not. Last year, before the planned update of Joomla, a pre-notification had been released. This was done for checking whether the flaws are severe enough or not. The notification is actually preparing the users, so that they can install the updates, as soon as possible. The attacks that are expected after each update can now be resolved easily. This version comes with some flaws in the account creation section even if the user registration has been disabled. This flaw has been considered as CVE 2016 8870. This issue has also been identified after the Joomla update. In this issue, the users are allowed to register on the Joomla website with some advanced privileges. With those elevated privileges, some unfiltered data can be allowed by the users for their improper use. The essential security controls can be bypassed by the hackers if these vulnerabilities are not properly addressed. This flaw has been named CVE-2016 8869. The 2-factor authentication system of Joomla can also be used for fixing the bugs in the encryption system. Though bugs are not considered as a serious vulnerability, it can be resolved by the authentication process of Joomla. According to the popularity of the content management system, Joomla just comes after WordPress. So, the attackers can exploit the vulnerabilities even less than four hours after each version gets released. To know more about maintaining the security, you can visit lasvegaswebdesignco.com. The security team of Joomla, also known as the JSST, works hard in installing the updates and also works on maintaining the security properly. They urge the website administrators to focus on installing the patches and the updates by maintaining a proper security for the Joomla websites. If the verification remains insufficient, the Joomla core versions get affected through the versions of 3.6.3 to 3.4.4. Though WordPress is used by bloggers for creating personal blogs, Joomla is used by various companies for creating internal websites that are complex, as well as, public facing in nature. And the debate is always on for people asking which one is much better. For cyber criminals, the servers of Joomla can become easy targets, if they are not protected properly. The malicious actors can easily start exploiting the vulnerabilities, in case the security is not maintained. So, the security team of Joomla always suggests that the website administrators install the security measures along with each update of the Joomla versions. Now, as all the issues and the flaws have been disclosed publicly, the cyber criminals will definitely try to exploit them. Therefore, it is essential to install the latest updates as soon as possible.